Tyson is a recent Oregon State University graduate with a B.S. in Energy Systems Engineering. 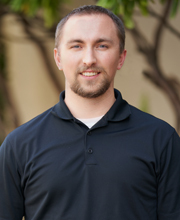 He provides critical production support, assisting with mechanical design and field work for both our mechanical engineering and commissioning departments. Tyson puts a lot of energy and passion into his work. He enjoys finding solutions for the unique challenges that each project presents. Tyson is an avid golfer who can be found on the links, no matter the weather. When not involved with the elusive task of perfecting his golf swing, Tyson will be snowboarding in the Cascades, or fishing and hiking on the Oregon Coast.